39488 Nc 12 Highway, Avon, NC.| MLS# 101608 | Outer Banks Homes For Sale, North Carolina Home Search Including Nags Head, Pirates Cove, Manteo, Kill Devil Hills Kitty Hawk, Southern Shores, Duck, and Corolla North Carolina, Oceanfront and Soundfront properties for sale and long term rentals. Enjoy amazing sound views from this creekfront condo. 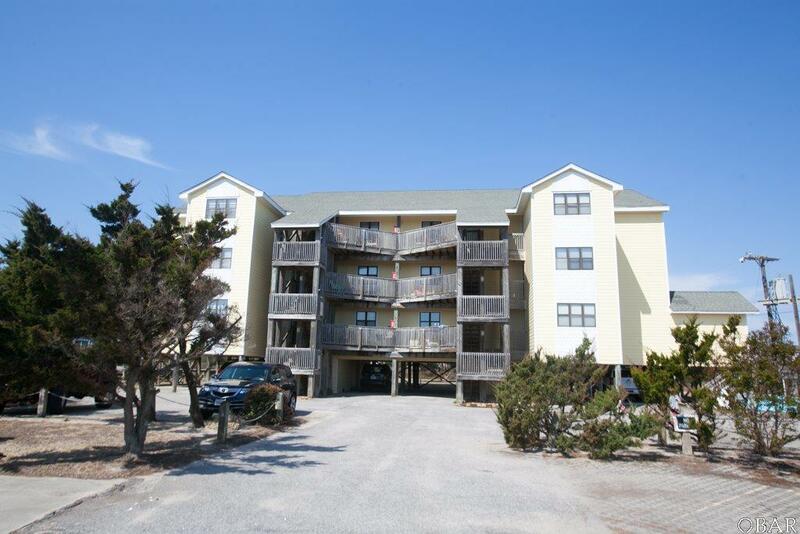 Located on the 1st level of the Pamlico Point Condos, this condo offers a spacious living and dining area, fully equipped kitchen and 2 bedrooms and 2 full bathrooms. This condo is turn key that was recently remodeled including an upgraded kitchen with stainless steel appliances, new cabinetry and countertops, freshly painted walls throughout, new light fixtures, plus more! There is an outside porch accessible from the living area and master bedroom which offers a great theater to watching the sunset over the majestic sound. The condo comes with a shed located on the ground level to hold all your beach and fishing necessities. The condo shares a community pool and dock on the creek perfect for taking your kayak out onto the sound. Don't miss this opportunity!